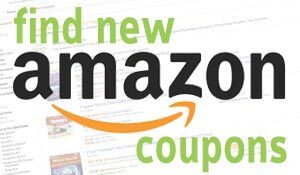 Disney Doc McStuffins ORIGINAL Doctor’s Bag- Exclusive is now available at Amazon.com for just $6.58 (REG $19.99) (As of 11 April 2019, 15:58 PST – Details) with $13.41 (67%) Savings. Doc McStuffin’s Bag Set includes 8 glittery and sparkly Pieces. 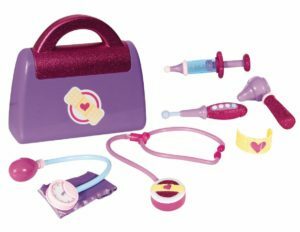 Features Doc’s bag, play thermometer, syringe, blood pressure cuff, horoscope, bandage cuff, sticker sheet and Doc’s magical stethoscope. 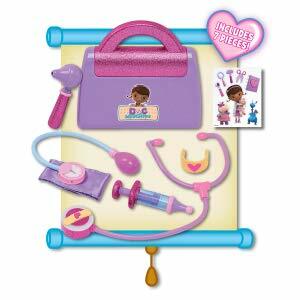 The set includes a light up stethoscope. 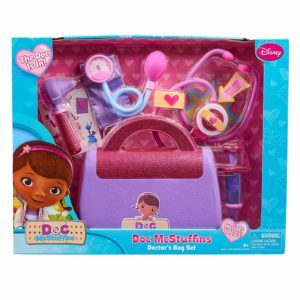 The Doc Mcstuffins Doctor’s Bag features a snap-close doctor’s bag with a glitter handle and includes a sound & light stethoscope, blood pressure cuff, otoscope, syringe, bandage and stickers! Fun Sound & Light Stethoscope! 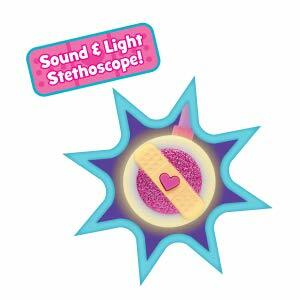 Doc’s magical stethoscope lights up and features fun Doc sounds! Stethoscope requires 3 x AG13 batteries (included). Look Just Like Doc McStuffins! 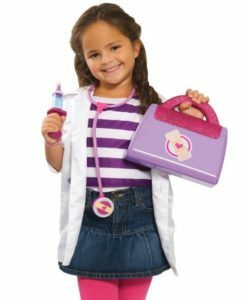 Now your little Doc can ‘practice’ her skills and nurture her favorite toys back to perfect health (Doc McStuffins Dress Up Set sold separately). Your stuffed animals and toy friends are ready for their check-ups! 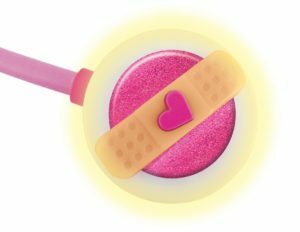 Disney Junior’s Doc McStuffins Doctor’s Bag Set includes a new and improved Doctor’s bag, sparkly syringe, blood pressure cuff with working gauge and glitter vinyl cuff, glittery otoscope, bandage cuff bracelet, and a bandage box that dispenses colorful bandage stickers! Of course, Doc’s magical stethoscope is included featuring sounds and light-up. 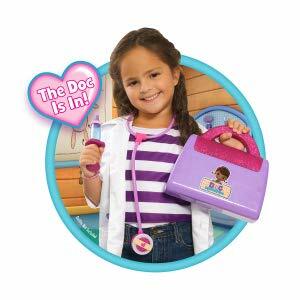 Now your little Doc can “practice” her skills and nurture her favorite toys back to perfect health. Requires 3 AG13 batteries.